Margaret came to serve as UPC’s interim pastor in September, 2017. She expects to remain in Chapel Hill until a new pastor is called, likely in 2019. She grew up in Sarasota, Florida, living across the street from the church her father served. Margaret met her husband, Lee, when they were first-year students at Davidson College. She did not sense a call to the Ministry of Word and Sacrament until she was in her 30s. By that point their family also included a son, Nate, and a daughter, Hanna. They all moved from California to Princeton—to begin seminary, kindergarten and preschool respectively—while Lee worked to make it all possible. In the intervening years, Margaret has served churches in New Jersey, North Carolina and Florida. She and Lee live near Asheville, in a home they share with Margaret’s parents. Margaret considers it a great privilege to serve in community with others who are seeking to hear God’s voice and to follow that leading. She is grateful for the many sisters and brothers who have shared their lives and stories along the way. When she is at home in the mountains, she finds particular joy in hiking, gardening, stacking stones, and volunteering with a remarkable ministry known as the Haywood Street congregation. Margaret frequently leads conference worship in Montreat. Hillary is overjoyed to join the staff of UPC. She graduated from Elon University with a Bachelor of Arts in Religious Studies and received her Master of Divinity from Princeton Theological Seminary. While in Princeton, she served as an intern at two churches in New Jersey and completed a unit of CPE at Rex Hospital in Raleigh. Hillary was raised in Charlotte and was called back to the area after seminary to serve as Associate Pastor at Hopewell Presbyterian Church in Huntersville, NC. Hillary’s passion for ministry lies in worship and pastoral care, and she is thrilled to be able to focus on these areas while at UPC. She finds inspiration in hearing and reading the stories of others, and bearing witness to the ways God weaves our lives and communities together. She and her husband, Brad, met in Chapel Hill and are looking forward to being back in a place that holds so many fond memories. In her free time, she enjoys live music, traveling, cooking, and exploring coffee shops. 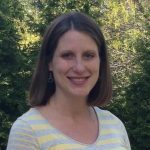 Kate joined the staff in November of 2014 as the Associate Pastor for Adult Ministries. She focuses her energy on strengthening the adult education program, coordinating congregational life events, and extending warm hospitality to new members. Kate grew up in Virginia and North Carolina, and she has moved back and forth across the state line seven times. She is a graduate of Davidson College and Union Presbyterian Seminary. Before arriving in Chapel Hill, Kate served as the Associate Chaplain at Trinity Episcopal School in Charlotte–teaching third through eighth graders–and then as the Director of Admissions at Union Presbyterian Seminary. 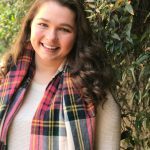 Kate enjoys road trips, live music, reading, exploring new restaurants, and cheering on her favorite sports teams: the Bears, the Cubs, and the Tar Heels. John was born in Raleigh, lived in Cary and then Fuquay-Varina until he was 11. From age 11-18 John spent most of his time on the golf course and mowing lawns in central Florida. While in Florida John’s Lutheran mother and Baptist father found their way to a Presbyterian church in DeLand. Since then, 1986, John has grown to love the connectionalism and theology of the Presbyterian church. After graduating from DeLand High School John attended and graduated from Greensboro College where again he spent many hours on the golf course playing collegiately for four years. While at GC John felt a nudge to pursue seminary and a career and calling working in the church. John attended Duke Divinity School (but with two parents as UNC-Chapel Hill alums, kept faithful to his Carolina athletic allegiance). While at Duke Divinity John did several internships ranging from directing Presbyterian Point Camp, youth work at First Presbyterian Church Durham, a summer with Southeast Alaska Volunteers in Mission, Clinical Pastoral Education (CPE) at UNC Hospitals, and as campus ministry intern at UNC PCM with Ollie Wagner. After completing his MDiv degree John accepted a call to be the Chaplain at McCallie School in Chattanooga, TN. While at McCallie John oversaw the chapel schedule, taught in the Bible department, coached golf, and served on several committees. In the spring of 2008 John accepted the call to be the Associate Minister for Campus Ministry at University Presbyterian Church and started in July. As the campus minister John works with a congregation of mostly undergraduate students that ranges from about 50-70 students each year. Students at PCM come by for Thursday night dinner, small groups, fellowship, programs, and throughout the week for other activities and worship at UPC. John also staffs the outreach committees at UPC. 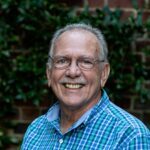 John is excited about his part in this longstanding ministry and UPC’s wholehearted commitment to the University of North Carolina at Chapel Hill’s students, faculty, and staff. John is married to Trina Rogers. They have two daughters, Liza (11), who lives in Chattanooga, TN, and Cate (toddler) and one son, James. THOMAS BROWN is an award-winning pianist, organist, composer and improviser, and has been the Minister of Music of University Presbyterian Church in Chapel Hill since June, 2002. 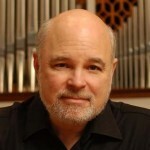 He is in his fifth decade as a church musician, and has served a variety of congregations in Colorado, Missouri, Connecticut, Brooklyn Heights, New York, and New York City. He brings a broad and diverse element to his work at University Church. Tom made his critically-acclaimed debut in Chicago’s Orchestra Hall at the age of twenty-one as part of the prestigious Allied Arts Piano Series, whose other artists that season included Artur Rubinstein, Alfred Brendel and Vladimir Horowitz. He was re-engaged on the spot and has since performed around the world as both pianist and organist, with appearances throughout the United States and in Canada, England, France, Holland, Germany, Austria, Switzerland, the Czech Republic and Israel. He performed as concerto soloist with the Jerusalem Symphony on its first tour of North America. During his third tour to Southeast Asia, he was the featured soloist at the International Bamboo Organ Festival in The Philippines, and was the first American ever invited to record on the famous Bamboo Organ there. He is a graduate of the University of Missouri/Kansas City Conservatory of Music and is a recipient of the University’s Alumni Achievement Award. He also holds the Master of Music degree from The Juilliard School in New York City and, while a student there, was named an Outstanding Young Artist of America by the Editors of Musical America magazine. He can trace his musical tutelage directly to Haydn, Beethoven and Brahms through important student/teacher relationships. He has a keen interest in organbuilding and design, and his articles have appeared in The American Organist, The Diapason, The Herald and The Northeast Organist magazines. His performances have been heard on Pipedreams, National Public Radio and the CBC, and he has recorded for The Repertoire Recording Society, RBW Records, Viennola Gramophone Austria and Raven Recordings. Visit him at www.ThomasBrownMusic.com. Kim McNeill began as the Staff Associate for Youth Ministries in November of 2007. Kim graduated from UNC-Chapel Hill in 2003 with a degree in Recreation and Leisure Studies and Psychology. As a product of University Presbyterian Church’s Campus Ministry program, she spent the fall of 2003 as an intern in the Center for Youth and Young Adult Ministry at Montreat Conference Center. In January of 2004, she returned to Chapel Hill as the Camp Director at New Hope Camp and Conference Center. Kim grew up in the small town of Red Springs, NC, where she developed her southern accent and love for bluegrass music. Kim bleeds Carolina Blue and knows the words to all of the UNC fight songs. She loves leading games that make you laugh, organized chaos, and trips in the van. Kim lives in Durham with her dog Murphy. Nancy began as the Staff Associate for Children’s Ministries in October 2014. Nancy grew up in west central Illinois and graduated in 2005 from Millikin University in Decatur, Illinois, with a Bachelor of Science in elementary education. She continued on to get a Master of Arts degree in education from Ball State University in Muncie, Indiana. 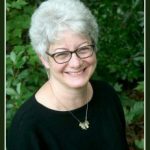 Before joining the staff at University Presbyterian Church, Nancy served congregations in Knoxville, TN, and Indianapolis, IN. Since moving to the Triangle, Nancy is having fun becoming a Tar Heels fan. In her free time, you’ll find her reading, surfing on Pinterest, watching Michigan State sports, and doing just about any craft imaginable! She also enjoys traveling to visit her parents, brother, sister, and their families. BETH AUMAN VISSER has been the Director of Youth and Children’s Choirs at University Presbyterian Church since 1986. She earned her Bachelor of Music Degree in Vocal Performance at the University of North Carolina – Chapel Hill and, as a student there, served as Soprano section leader for the University Church Chancel Choir. She also holds the Master of Music degree from East Carolina University in Greenville, North Carolina. For two seasons, Ms. Visser was the Coordinator for the USO Touring Shows in Southern Germany, as well as the Director of Music and Publicity for the American Theatre in Stuttgart. During her time in Germany, she also served as Director of Music for Robinson Barracks Chapel in Stuttgart, and was soloist with the German-American Community Chorus. Her responsibilities at University Church include the direction and development of the Youth, Junior and Children’s Choirs, and the cultivation and nourishment of music in the Church’s PreSchool. Ms. Visser is married and has three children. 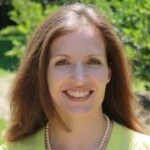 ELLEN PARKER was hired as Director of University Presbyterian Preschool in August 2009. Jennifer Johnson has been at UPC since January 18, 2012. She is the Communications Manager, promoted from Publications Coordinator on October 18, 2018. Jen is in charge of all communications for the church, including the weekly bulletin and announcements, the Weekly E-News, and The Chimes, as well as several yearly publications. She manages the UPC Facebook page and Instagram account and assists Jeanette Schmidt, the Office Manager, with updating the church website. After graduating with a degree in English, Jen spent a few years working as a freelance writer and editor for many local small businesses and non-profits, as well as clients across North America. She enjoys being part of the team at UPC and working with staff and church members to create and improve church communications. If you’re interested in learning more about having your wedding ceremony at UPC, please contact Jen for more information. Ginny recently joined our Administrative Staff as the new Administrative Assistant for the office. She graduated in May of 2017 from the University of South Carolina with a degree in International Studies and a minor in Public Relations. She also graduated with Leadership Distinction in Global Studies for her award winning work on her time in Copenhagen during the height of the 2015 migration crisis. While at USC she was very active in Ukirk, the Presbyterian Campus Ministry sponsored by Shandon Presbyterian Church in Columbia. Ginny also served as the Chapter President of Pi Beta Phi, a sorority on USC’s campus. She was highly involved with the College Democrats on Campus, and interned at both the South Carolina Democratic Party Headquarters and the House Minority Caucus during her time in Columbia. Both of Ginny’s parents are Presbyterian Ministers, making her familiar with the ins and outs of our faith and church operations. She grew up in Rock Hill, South Carolina but her mother’s upbringing in Salisbury, North Carolina has ensured her association of “Carolina” with our beloved Carolina blue. Ginny moved to the Triangle after graduation to be closer to her long-term boyfriend who works in RTP and to establish in-state residency for graduate school. Ginny spends the majority of her time taking care of her 10-month old puppy, cooking and baking, and researching future plans for international travel. Feel free to stop by if you’re ever in the office and say hello! She’s very excited to meet more church members and become a part of life at University Presbyterian Church. Jeanette joined the staff of University Presbyterian Church in August of 2007. Her initial role was church secretary and in 2011, she was promoted to office manager. She enjoys meeting and talking to all the members of UPC and is happy to help people with their upcch.org questions and/or issues. In her spare time, you can usually find her reading, working out, or watching various shows on Netflix. Melani serves University Presbyterian Church as the part-time Financial Assistant. In this role, she assists with the day-to-day financial duties of the church and of University Presbyterian Preschool (UPPS). Melani grew up in Watkins Glen, NY and moved to NC in 1999. She graduated from UNC-Chapel Hill in 2004 with degrees in Management and Society and Sociology. With her husband, Patrick, she has four daughters. When asked why she enjoys working at University Presbyterian Church, Melani said, “I love working with the congregation and my fellow staff here at UPC. I started working here in 2004, took some time off to be at home with my children, and am happy to be back as a part-time employee.” We’re so glad to have you as part of our administrative staff, Melani!